David founded Simply Speaking in 1988 after being recognized by Toastmasters International as the best speech coach in his home state. In 1998 he earned the National Speakers Association’s highest designation, the Certified Speaking Professional, a title held by less than 7% of the association’s 4000 members. David serves as communication coach and strategist to global business leaders, emerging leaders, entrepreneurs and professional speakers and trainers. His coaching is direct and designed to bring quick results. It is not based on theories, but rather “battle-tested” best practices learned on the speaking trail, having addressed hundreds of audiences from Savannah to Singapore. David is the author of Simply Speaking! The No-Sweat Way to Prepare and Deliver Winning Presentations, Death by PowerPoint! and Forget Your Title, We’re All in Sales! Shirley helps business professionals become powerful communicators on and off the “platform” and in and out of meetings. She is an award-winning writer, author of Speaking Without Freaking, and is the go-to-person for compelling speech writing. Shirley is Past-President of the National Speakers Association’s Georgia chapter and earned her Doctorate in Education and Leadership. Gary provides technical presenters with the tools they need to transform lackluster presentations into engaging and passionate performances. Gary is Past-President of the National Speakers Association’s North Texas Chapter and co-author of The Communication Path. 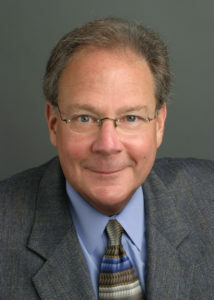 He holds undergraduate and graduate degrees from Penn State University and Bowling Green State University. Men and women give and receive information differently. Robert and Rande are husband and wife, coaches, and co-authors of Speaking for Results. For 30 years they have worked individually and as a couple to bring a unique male-female perspective on how to connect with everyone in your audience. Eric’s specialty is helping individuals prepare for media interviews — both planned and unexpected. He has 30+ years broadcast news and programming experience in radio and TV, including serving as an anchor and reporter for CBS Radio and covering the Supreme Court for CNN. Before the media comes calling, call us to schedule time with Eric. Jeri helps professionals transform communication anxiety into a powerful presence when presenting, conducting meetings, and speaking up when it matters. Jeri’s expertise in neuroscience combined with her 30+ years as a coach, licensed mental health professional and certified hypnotherapist offers strategies and skills that help you speak with confidence. Corey believes that public speaking anxiety does not have to be a life-time sentence. She helps individuals and groups embrace their individual strengths and confidently present their vision. Corey is a presentation specialist and public speaking professor. She is certified in speech writing and holds a Master’s degree in Professional Communication. Corey is currently pursuing her second Master’s degree in Psychotherapy and Ph.D. in Communication Studies. Joan is a Board Certified Speech Pathologist and Executive Communications Specialist. Her specialties include accent reduction, “immersion listening,” “elevator speeches,” and business writing skills. Joan has been a communication specialist for 28 years, assisting individuals and corporate teams to improve their careers through skillful communications. Jyl has more than 35 years of combined experience as an intercultural communication consultant, speech and diction coach, and speech/language pathologist. A recognized expert in her field, Jyl has helped clients from 92 countries to be more effective communicators. Sharry has been keeping the Simply Speaking office running smoothly for more than 20 years. During the evening, Sharry can often be seen singing her heart in local theaters.